The most popular model, the Maxi-Miller is an efficient powerhouse that features a high-performing electric motor delivering the most torque downhole. 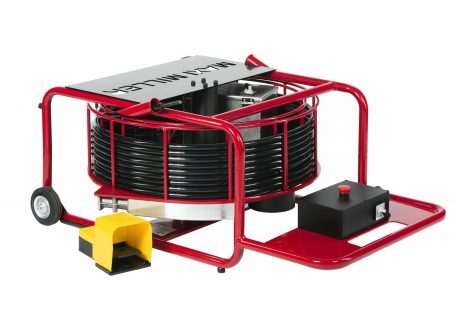 This unit features a safety clutch and includes an impressive 110' of 1/2″ cable and is suitable for drain cleaning, pipe cutting or powering the Smart Cutter and Twisters inside diameters 3.00–8.00″. An adapter for 1/3″ shaft is available for 2.00″ drains. The Maxi-Miller has a push/pull system and glides for maneuvering stairs and includes a locking system that keeps the shaft steady during transportation.